This chip-scale frequency comb system can not only generate a comb, but also manipulate it on the same chip. The Laboratory for Nanoscale Optics at the Harvard John A. Paulson School of Engineering and Applied Sciences is rapidly running down the checklist to develop ultra-efficient integrated photonic circuits. First, they developed a technique to fabricate high-performance optical microstructures using lithium niobate. Then, they designed an integrated frequency converter, an integrated modulator and a platform to store light and electrically control its frequency in an integrated circuit. Most recently, they designed on-chip, electronically driven frequency comb. Now, the team of researchers — led by Marko Loncar, the Tiantsai Lin Professor of Electrical Engineering and Applied Physics at SEAS — has developed a chip-scale frequency comb system that can not only generate a comb, but also manipulate it on the same chip. Optical frequency combs are lasers that emit multiple frequencies (colors) of light simultaneously, each precisely separated like the tooth on a comb. The researchers were focused on generating a specific type, known as a Kerr frequency comb, which has a range of applications in everything from optical clocks and spectroscopy to telecommunications and quantum information processing. While these frequency combs have been generated on-chip before, researchers have struggled to also integrate the components needed to manipulate the comb. That’s where lithium niobate come in. 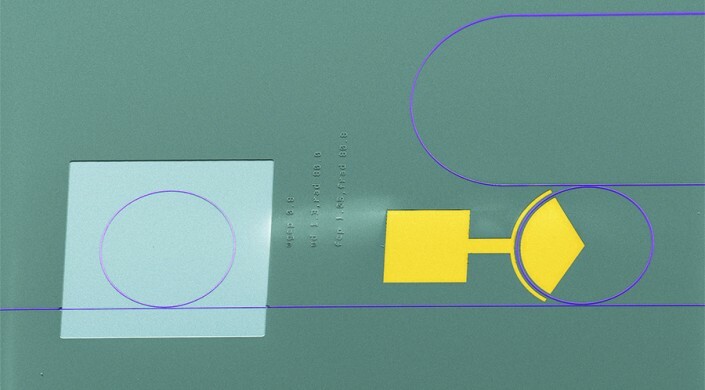 Loncar’s lab is pioneering the use of thin-film lithium niobate as a platform for integrated photonics. Its unique electro-optical properties make it possible to both generate the frequency comb on chip and manipulate it. “This is the first time a Kerr frequency comb has been generated on a lithium niobate platform, and the first time that Kerr comb generation, filtering and modulation were all realized on the same chip,” said Cheng. “We’ve shown that it is possible to integrate distinct photonic functionalities on a monolithic integrated lithium niobite chip, which could lead to a new generation of microcomb applications in spectroscopy, data communication, ranging and quantum photonics,” said Loncar, senior author of the study. This research was co-authored by Mian Zhang, Mengjie Yu, Rongrong Zhu and Han Hu. It was supported in part by the National Science Foundation, the DARPA SCOUT program, and the Harvard University Office of Technology Development Physical Sciences and Engineering Accelerator.